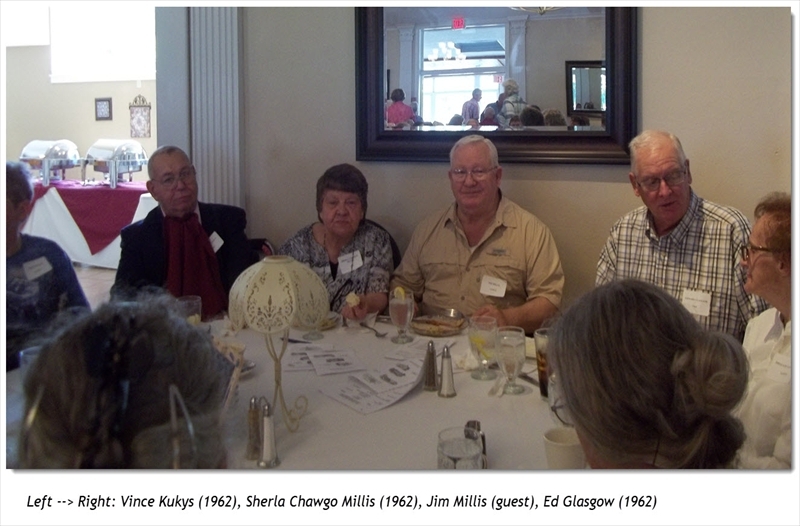 The Tully Alumni Association was organized in 1897 with the intent to gather annually and to maintain a Directory. 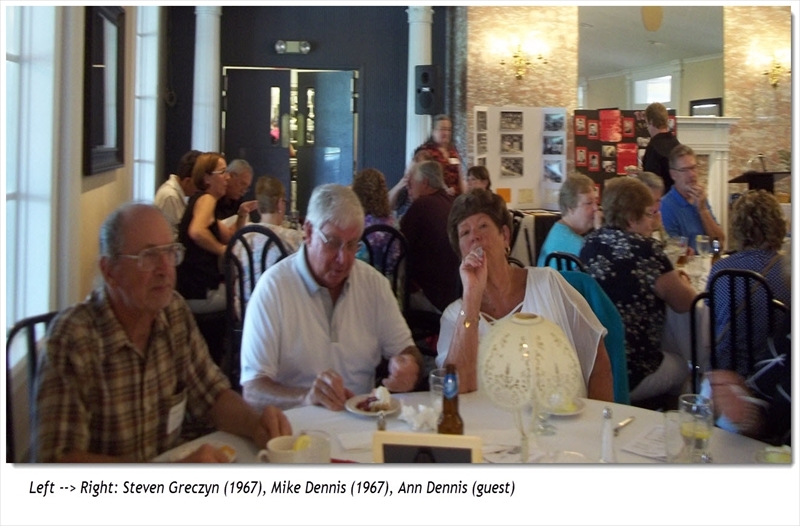 The first Alumni Banquet was held in 1898 at the Hotel Slayton. 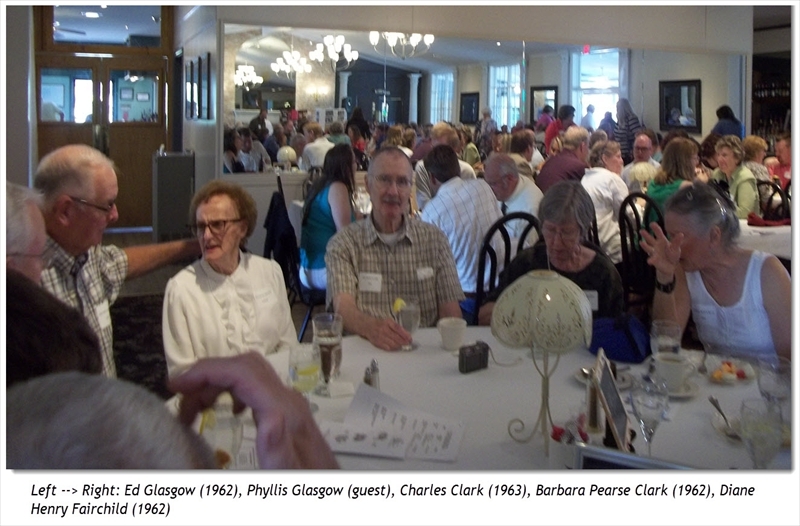 Up until the 1940's the annual banquet was held at various restaurants or civic club locations in the area. Then until the late 1970's the event was held at the High School. There was about a 10 year period when there was no annual event. 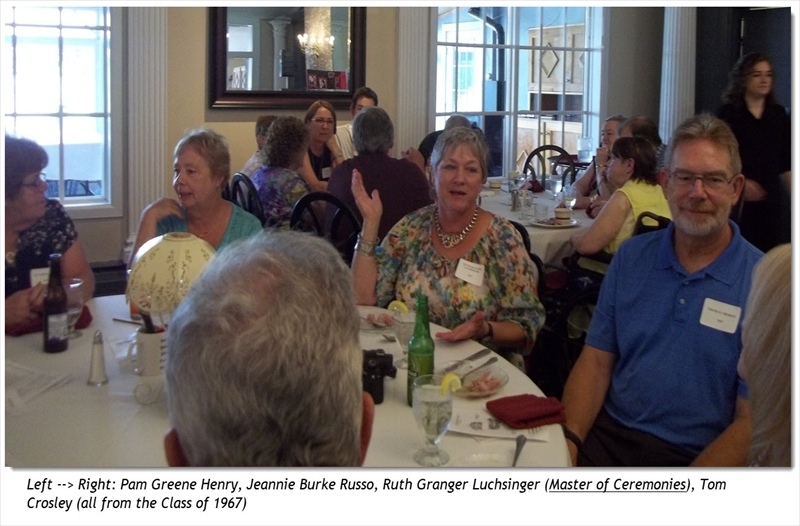 In the 1990's, a 1937 Alumnus, Nellie Gordon, who was also a retired school secretary at Tully, got together with a few others and re-organized the annual get-together. The directory continues to be updated and printed annually and the most recent edition (2018) is available for purchase at our online store (click here to go to store). 2018 Alumni Directory now available! Listed Left--> Right, Maiden names only. 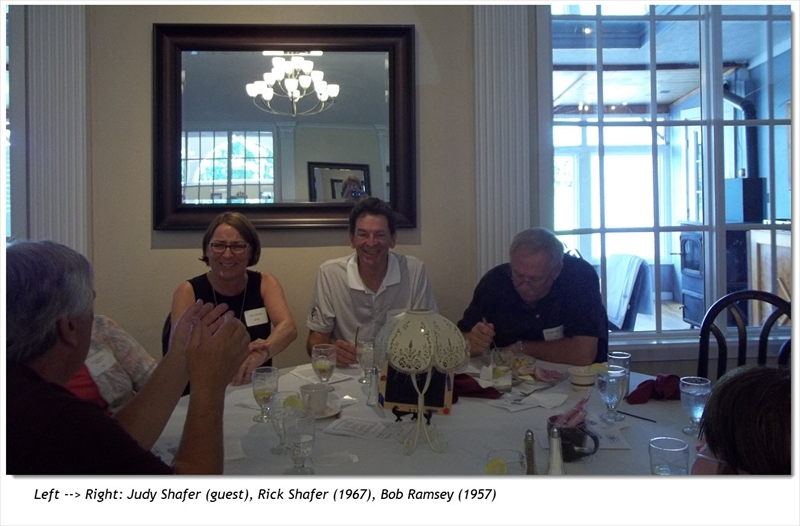 Class of 1968 video displayed at the 2018 Tully Alumni Dinner. 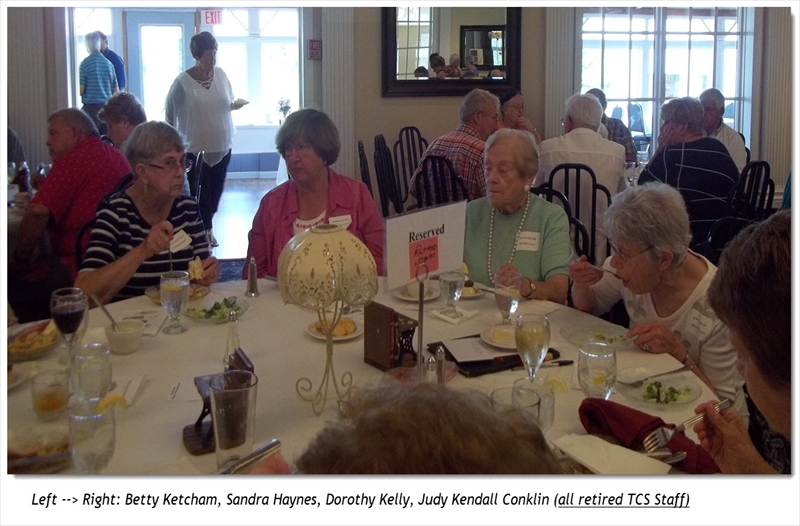 On August 12th, 2017, the TCS Annual Reunion Luncheon was held at the Orchard Vali Golf Club in LaFayette, NY. 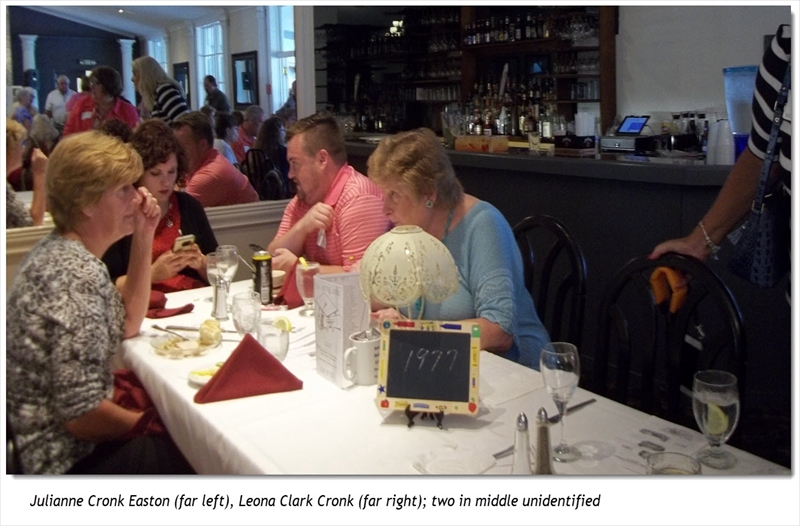 Class attendees and their guests totaled 150. 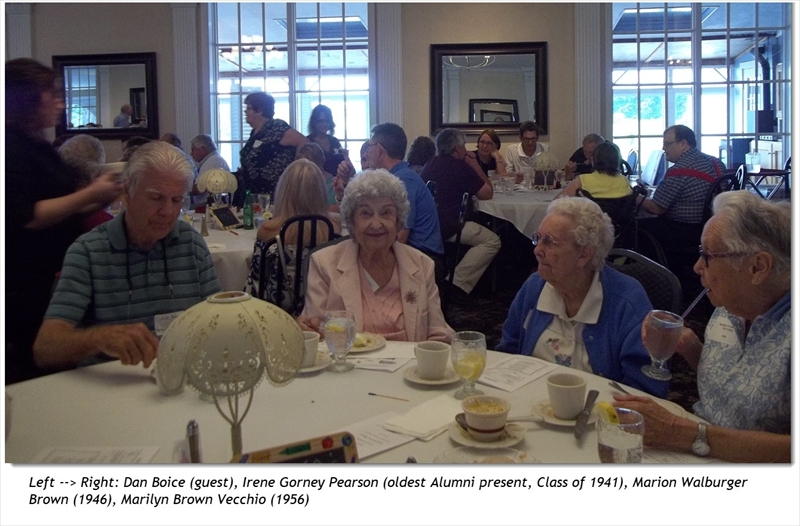 Irene Gorney Pearson (Class of 1941) was the oldest TCS Alumni to attend. 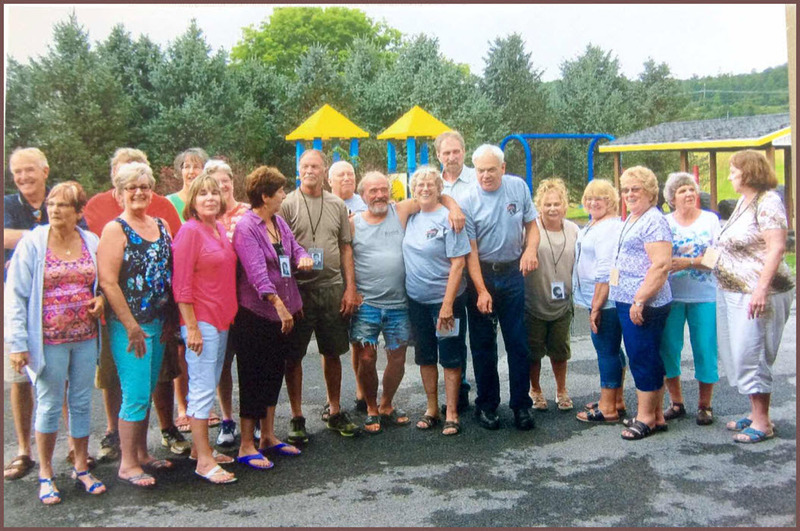 Warren Christopherson (Class of 1942) was there to celebrate his 75th year since graduation. 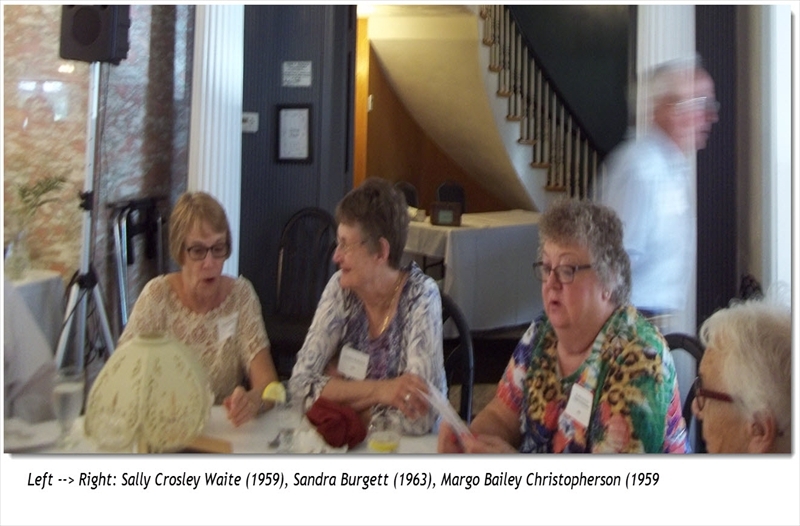 Several regular attendees and guests enjoyed meeting and greeting friends and acquaintances from the past. 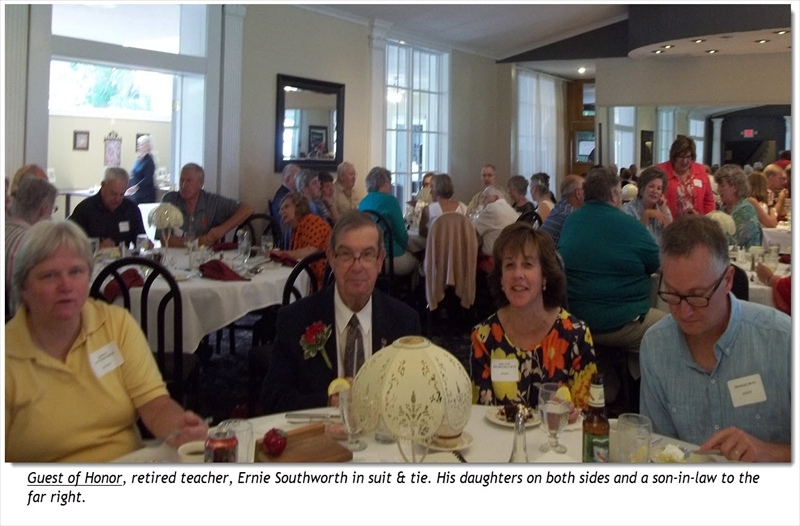 Retired teacher, Ernie Southworth, was honored for his dedication of 40 years teaching Social Studies/History, the vast majority of those years at Tully High School. His students referred to him as their leader, teacher, advisor, and most of all - Friend. He made learning interesting. Two daughters, and his son accompanied him to the event. 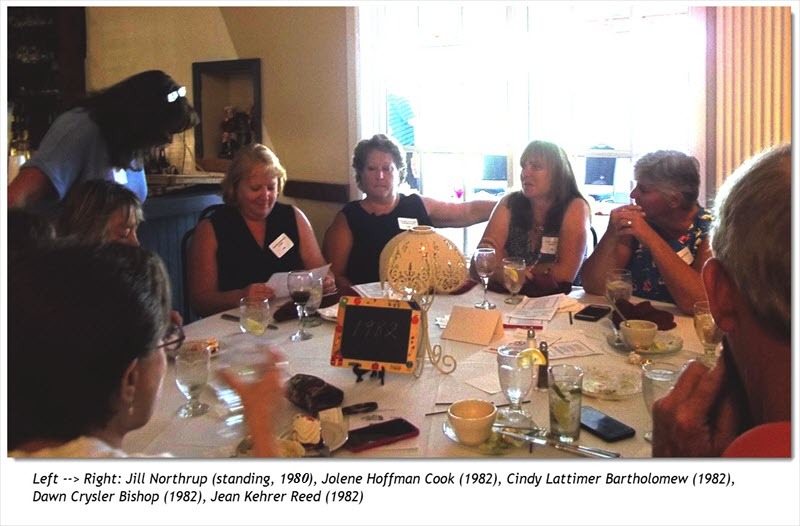 Other retired staff members who attended were: Betty Ketcham, Sandra Haynes, Dorothy Kelley, Lorrie Spaulding, and Judy Kendall Conklin. 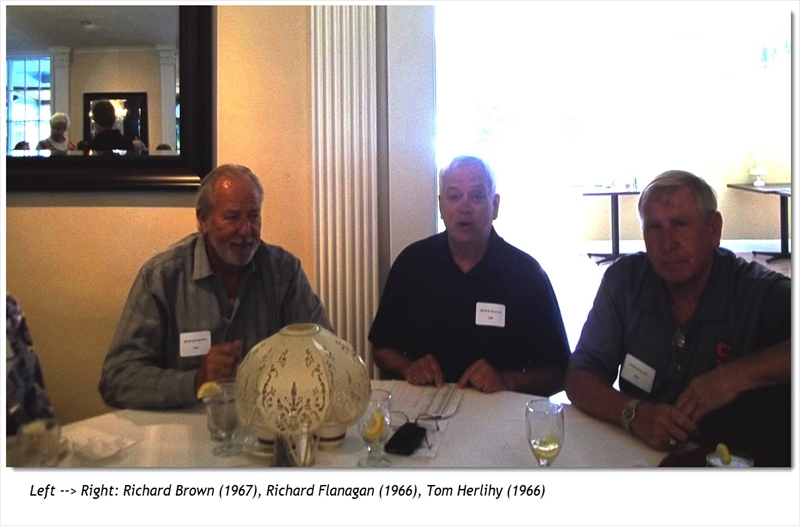 On Saturday, August 13, 2016, the TCS Alumni held their annual reunion luncheon at the Orchard Vali Golf Club in LaFayette, NY. This years' honorees were the classes: 1946, 1956, 1966, 1976, 1986, 1996, 2006 & 2016. 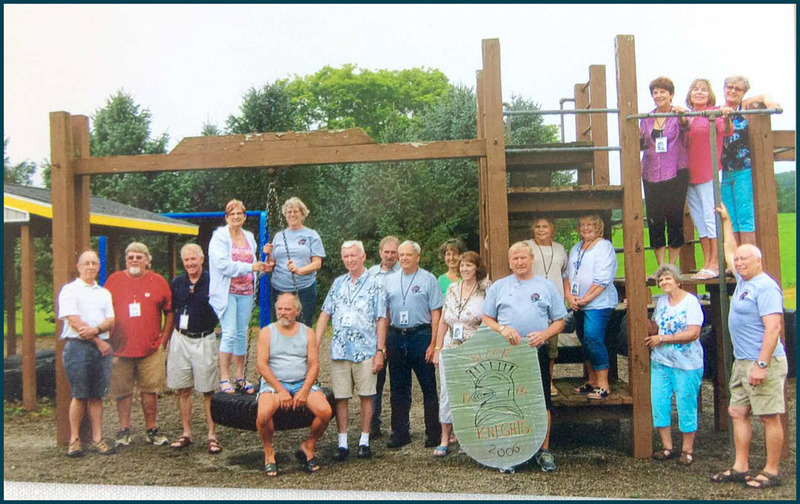 Rich Flanagan, graduate of the Class of 1966, presented this memorial video created by his granddaughter, Elizabeth Tornatore. 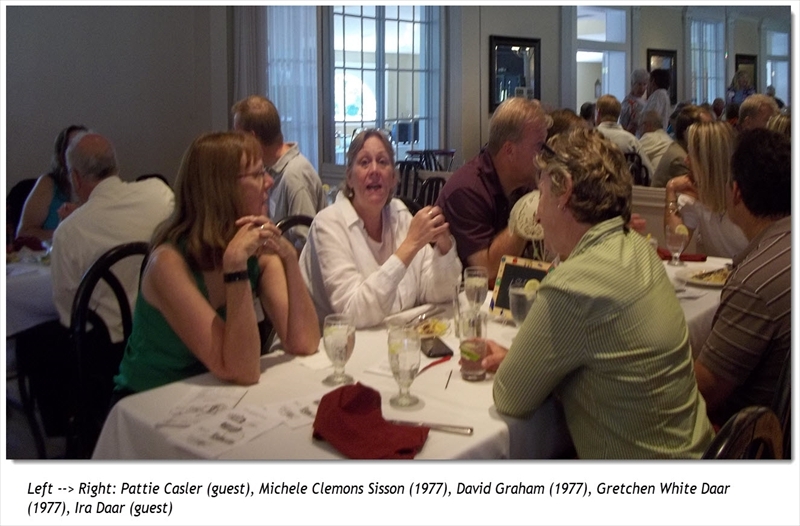 If you'd like to see the 2016 Alumni Luncheon Program click here. 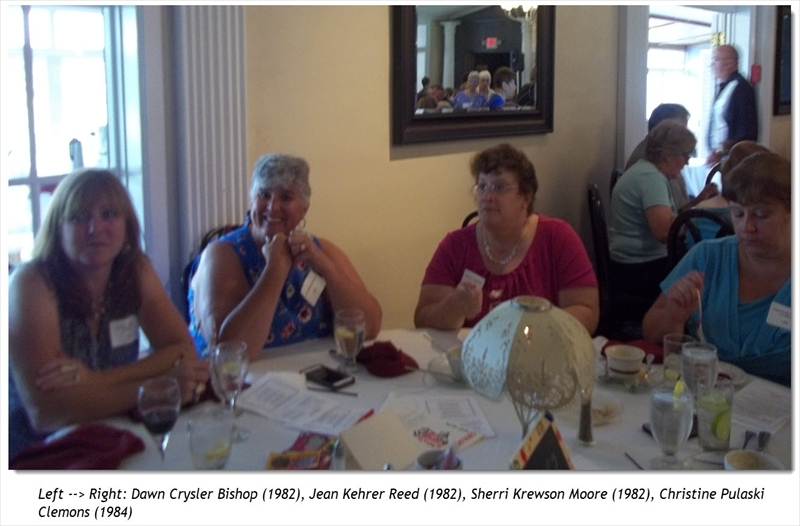 The program is in pdf format and will open in a new window / tab.